The importance of good sleep cannot be overstated. Without enough rest, the mind gets distracted, and you can be completely unproductive. With a continued lack of sleep, permanent damage can be done to your body and your mind. Sleepace has a solution to continued poor sleep: The Dream Life system. The first product in the Dream Life system is the RestOn smart sleep monitor. Unlike most sleep trackers, this one is not worn on your wrist but instead runs the width of your bed under the sheets. This method makes it far more convenient, as you'll never have to charge it, since it can stay plugged in. RestOn is not the first of its kind, but it does offer a very nice unique feature: smart start. You don't need to launch the app and let it know you're going to bed; instead, it recognizes the behavior and starts on its own. Another interesting product is the Nox Smart Sleep Light. This light can be set to specific colors for night and morning, can be paired with other sensors to make decisions or can mimic the natural light outdoors. The outdoor syncing means that as the sun sets, the room can go from bright to orange to red; as the sun rises, it reverses this pattern. Using Nox as part of an "alarm clock" system, you can wake up more calmly in a natural manner. Another entry in the family is the Nox Aroma device. This product combines all of the great features of the Nox Smart Sleep Light with additional aromatherapy capabilities. This means that you can fall asleep to light and scent that is relaxing, or use light and scent to wake up, rather than a loud alarm. 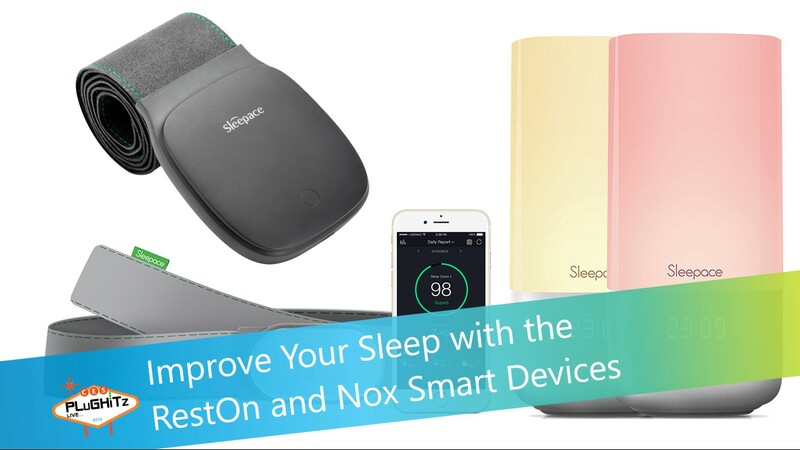 The RestOn Z200 smart sleep monitor is available now for $149 and the Nox Smart Sleep Light is available for $149. The Nox Aroma will be available soon, as well as an upgrade to the RestOn, the Z400T.